Vero Software UK says that the latest version (2017 R2) of its Machining Strategist CAM software is even faster than before, as it includes waveform roughing techniques. Pitched at mould, tool and die shops, Vero says that Machining Strategist will now offer release updates every six months. Vero Software UK says that the latest version (2017 R1) of its Machining Strategist CAM software is even faster than before, as it includes waveform roughing techniques. Pitched at mould, tool and die shops, Vero says that Machining Strategist will now offer release updates every six months. Vero Software, a leading provider of CAD/CAM/CAE solutions for the tooling industry, are pleased to announce the release of Machining STRATEGIST 15.0. A powerful multi-axis CAM solution that generates optimum High Speed CNC toolpaths for both the office and shop-floor environment. 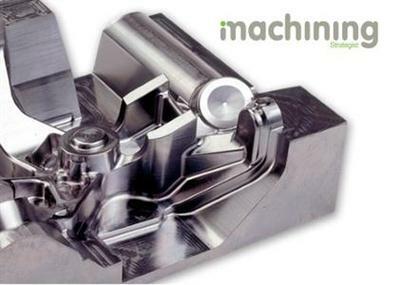 Machining STRATEGIST is a CAD independent solution and can work with data from all major 3D modelling systems. Within the latest release, support for VISI 20 has been added and the CAD interfaces have been aligned to Parasolid.